• Integrates English, Japanese, German, Finnish, Chinese, and original language Greek Bible translations. • Menus and Dialogs are localized in English, Japanese, German and Finnish. • Features include powerful search options, easy copy and paste, easy comparison of different versions (even different languages) verse-by-verse or chapter-by-chapter, display of furigana, links to Bible dictionaries and to the Japanese “Bible Master” software. You will need A-Bible v4.0 or higher to install the Shinkaiyaku 2017 add-on. 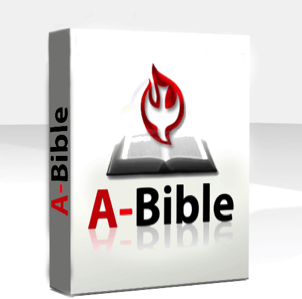 v 4.0 Includes A-Bible Manna: a daily reading guide with 3 different reading plans for the year. Also included is ‘Look Up!’ an easy way to display A-Bible on screen when using a projector.